Cal Crutchlow was left cursing more bad weather today as light rain that badly disrupted the second MotoGP practice session in Mugello cost the British rider precious time to learn the fast and flowing Italian track. In hot and sunny conditions this morning, Crutchlow had set the 11th quickest time with a 1.50.683 leaving him less than a second away from Monster Yamaha Tech 3 team-mate Colin Edwards in sixth place. But Crutchlow’s bid to step up his pace and work on solving a vague front-end feeling with his YZR-M1 machine was wrecked by light rain that started to fall shortly before the earlier 125GP session. Drizzle fell intermittently throughout the 45-minute session and the re-surfaced Mugello track was too damp to use slick tyres but not wet enough for Bridgestone’s rain rubber. Crutchlow did complete two laps as conditions improved right at the end of the session, but he was frustrated that the weather thwarted his bid to get more time on track. 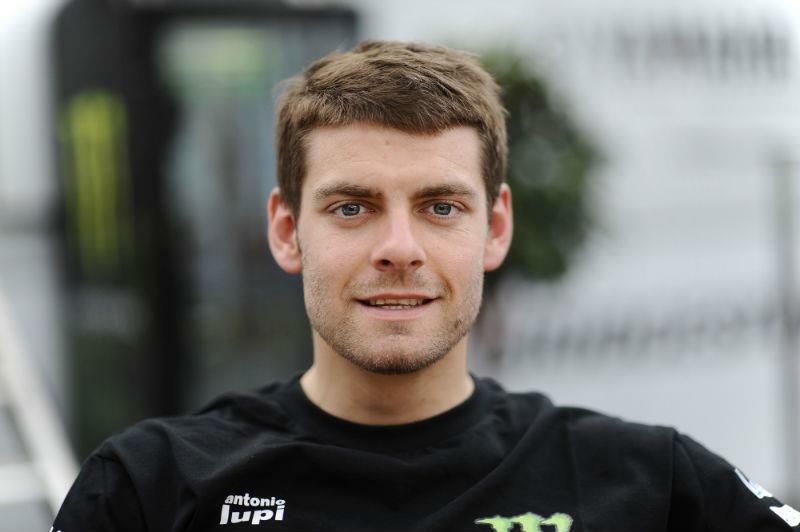 Crutchlow told MCN: "I’m a bit pissed off because I really need the track to be dry so I can be out there learning it. The other guys have been coming here for years and I’ve done 19 laps, so the last thing I needed was to lose a session. When that happens it puts you even more on the back foot than you already are. And we needed a dry track because this morning I was struggling with the front-end again and it felt similar to the problem I had in the race in Assen last weekend. The front isn’t chewing like it did last weekend but I’ve got a real vague feeling and we need to work on that." Crutchlow also said the technically challenging Mugello circuit was the toughest he’s had to learn so far in his impressive rookie season in MotoGP. Mugello is one of the fastest on the calendar but also features an undulating layout with blind corner entries. The 25-year-old added: "Without doubt, this is the most difficult track I’ve had to learn so far this year, but I think 11th position is still a good result and I think with a few more laps under my belt I’d have been into the top ten. The track is so technical and there is a lot of undulation, a lot of blind corner entries and you can’t see the exit of the fast chicanes. So it is a difficult track to go fast on and it is also a very physically demanding track, though the left collarbone I broke at Silverstone isn’t too uncomfortable."